After the experimental "Phallus Dei", AMON DÜÜL II brings more structure to their compositions and offer one of the greatest krautrock record ever, the seminal double-album "Yeti". Heavier, more mature and accessible than its predecessor, but still preserving the same creativity and audaciousness regarding the mixture of western and eastern influences, this second opus is a genuine trip to unknown worlds, in space and time. Surprising, thundering, mystical, esoteric, psychedelic, unique, out of time are the few words that come to mind during this hallucinogenic listening multicolor experience. However, these mushrooms come from another dimension. About the cover art, the man in a dress with a scythe is a sound engineer of the band, Wolfgang Krischke. A few months after he was photographed, he died due to a LSD overdose. The German krautrockers paid him tribute by putting his picture on the cover. The first half consists in structured compositions. "Soap Shop Rock" is divided in four parts. The mystical hard rock "Burning Sister" section sounds quite unreal with its bizarre voices and heavy guitars, while the incantatory "Halluzination Guillotine" is slower. The tiny opera-like "Gulp A Sonata" introduces the depressive "Flesh-Coloured Anti-Aircraft Alarm" part, which displays a slight gothic ambiance. Truly unique, this suite is simply one of AMON DÜÜL II's best compositions! The mood changes when arrives the calm "She Came Through The Chimney" and its ethnic percussions and middle-eastern textures. Then comes the powerful and mystical unidentified massive rock object "Archangel Thunderbird". The most remarkable point concerning this track is the contrast created by the over-heavy guitars duo and Renate Knaup's demented crystalline voice. Mindblowing! This song will become a concert favorite. On the opposite, "Cerberus" is a tribal folk of unknown origin, finishing in a crazy distorted rage. Where am I now? Seeking ancient temples, in some middle-eastern desert, my soundtrack is the cool heavy instrumental "The Return Of Rübezahl"... Except that Rübezahl is a Germanic mythological being from giant mountains, but it does not matter anymore. But then... when am I? The hard psychedelic "Eye Shaking King" seems like a strange oriental ritual with... robotic voices, whereas the mysterious"Pale Gallery" displays a threatening atmosphere happening at an undefined period, as if the past and the future were mixed together. The second half is less varied, but still also very good, as it features one of the best psychedelic improvisations ever recorded. "Yeti" can be described as a long jam in a style similar to PINK FLOYD's "A Saucerful of Secrets" and "Set the Controls for the Heart of the Sun", but still the AMON DÜÜL II way. It alternates rocking and softer passages. "Yeti Talks To Yogi" extends the trip with a more mystical ambiance. The spacey ethnic folk "Sandoz In The Rain" finishes these 70 minutes of unreal musical madness in the calm. "Yeti" is one of the most fascinating krautrock album in existence! A treasure of creativity, weird arrangements, unexpected marriages and audacious tripiness. Unique, out of time, the music are a perfect balance between craziness and accessibility, creativity and melody, heavy and calm moments. The listener is never bored and always surprised by the various influences displayed on this disc. Needless to talk about the band's personality here, as not many bands manages to merge such opposite genres with this talent. Like the Yeti, the creature remains mysterious, of an unknown origin. 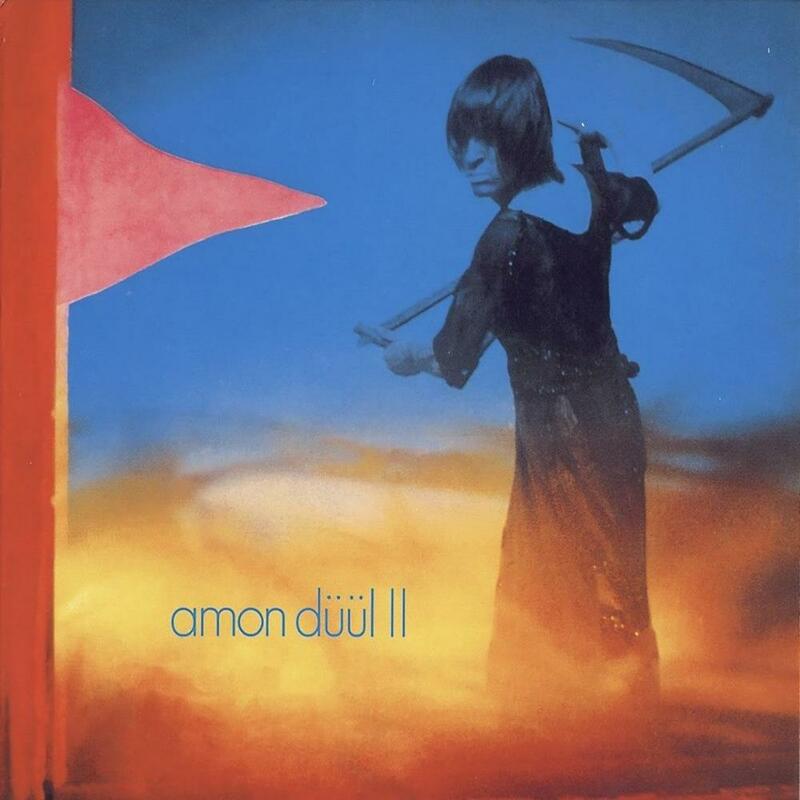 AMON DÜÜL II's best album, an unequalled masterpiece of the genre, highly recommended! Fans of krautrock, psychedelic, space rock or PINK FLOYD, listen to this record, otherwise the abominable snow monster himself will come at your house and eat you!